Winter is coming. - Arnold's Roofing Enterprises, Inc.
Ok well maybe not so much winter if you are in Florida. But just because we don’t live where its snows every day of winter, doesn’t mean you should keep your roof prepared for winter. At Arnold’s Roofing, we make sure all of our customers are prepared for any kind of weather. Below are some tips for making sure your roof gets the repairs it may need done and the preparation taken care of, just in case. 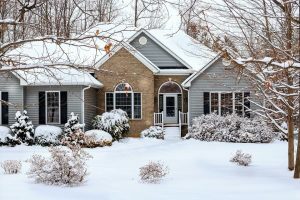 One of the main things you need to think of when you are winterizing your home is that no matter what kind of storm you may get; your roof can take a beating in the winter. That can be from thunderstorms, strong winds or just cooler temperatures. If you ignore the basic repairs now, it can lead to a much greater investment later to fix. You also risk the chance that when damage occurs due to issues with your roof, it can cause internal structural damage. So its just better to be safe then sorry. One of the first things you would want to check, is whether or not you need to replace any shingles. A shingle here or there can make all the difference when you get that first storm of the season. Its always good to schedule a roof inspection periodically so that you know the issues you might have. That will tell you if you should do the repairs now or later. The other path you can take if you are having issues throughout the roof is to add a 2nd layer. However, this is the only layer you can add to help solidify your roof. If you need to keep repairing after this step, its time for a new roof. It is actually required that you do at that time by the international residential code. When you are doing repairs for the winter, you may not think about the type of shingle you have, but if you are looking to replace your roof, then you should certainly take your time in figuring out what is best for you. Safety is a huge concern when thinking about winterization. If you have a sagging or leaky roof, that can be a symptom of a larger issue and you will want to have that checked. Just imagine if you ignore those issues and have your roof collapse. Best case scenario there is you have a lot of damage internally to your home, the worst case scenario is much worse. So regardless of whether you live in an area that sees extreme temps both ways or not, during this time of the year it is good to consider those small repairs that can prevent larger issues down the line.